Description: Brand new genuine BorgWarner CHRA in original packaging. Exactly as seen on the production line and as offered by your official dealer. 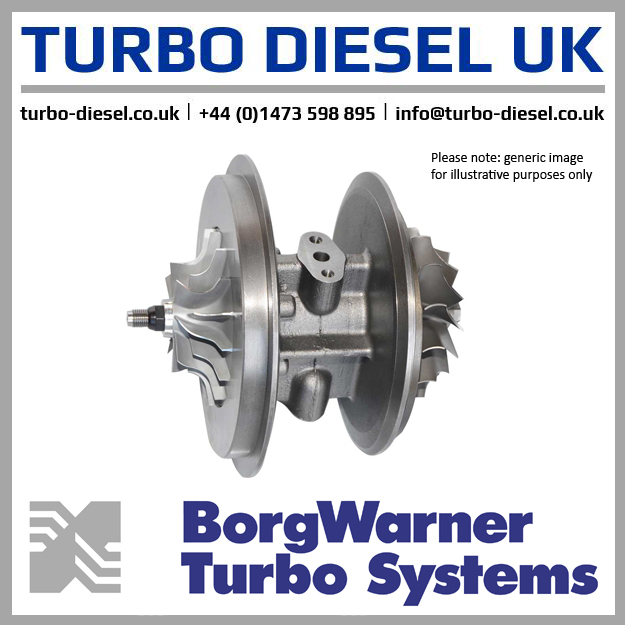 Warranty: 24 months unlimited mileage BorgWarner warranty. Returns: 30 days from invoice date unused and in resaleable condition. Core Deposit: Not applicable. Outright sale.